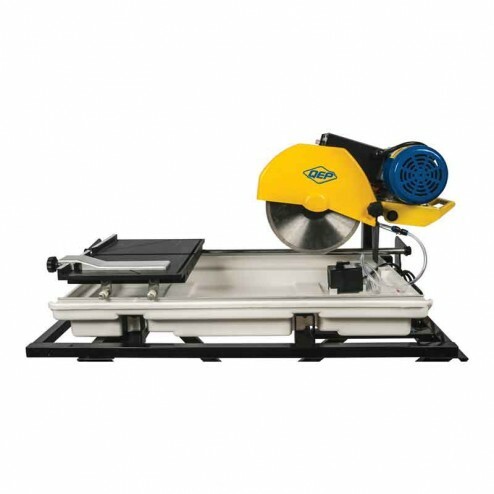 The cutting table on this QEP 60020 24" Dual Speed Wet Tile Saw features a slidetube mounting system for accurate, consistent cuts. Great for wet cutting of porcelain, marble, granite and virtually all types of tile. Motor Specifications: 1750/2450 RPM (dual speed), 2 hp, 120V, 60 hz, 15 amp, 1500W Electric. Maximum Square Cut: 20" to 24" (depending on tile width). Fiberglass impregnated water tray will not rust and snaps in and out of place for easy emptying and cleaning. Water spray system is completely enclosed and distributes water evenly to extend blade life. Motor mounting block includes a steel support arm for stability and durability. Equipped with miter block, angle and rip guides for quick, consistent cuts. Childproof, lockable on/off switch with key for extra safety. Standard thermal overload protection to prevent overheating. Locking blade guard tilts for smoother blade changes. 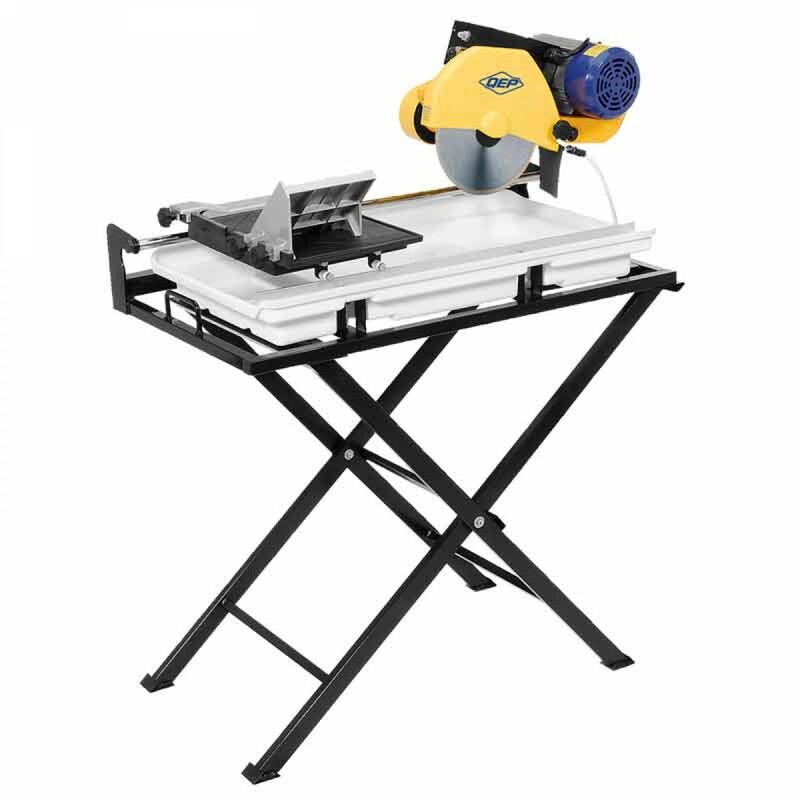 Package includes 45 degree miter block, high volume water pump, folding stand, 10" continuous rim wet diamond blade and instruction manual.